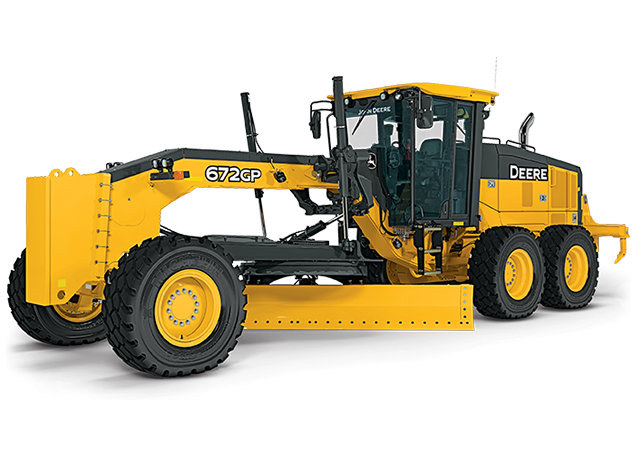 The 672G/GP Motor Grader's tall mainframe lets this highly productive grader shoulder larger loads and navigate more easily over obstacles. Provides plenty of clearance for a mid-mount scarifier, and simplifies blade setup and operation, too. You won't find an easier-running grader, either. Our exclusive Event-Based Shifting (EBS) transmission delivers smooth-as-silk gear and direction changes, for exceptional control and grading precision without extra effort. There's nothing else like it.